When space is a premium. You know when it hits you. For now! And you have to make every cubic foot of space count. It’s all about organization and storage. 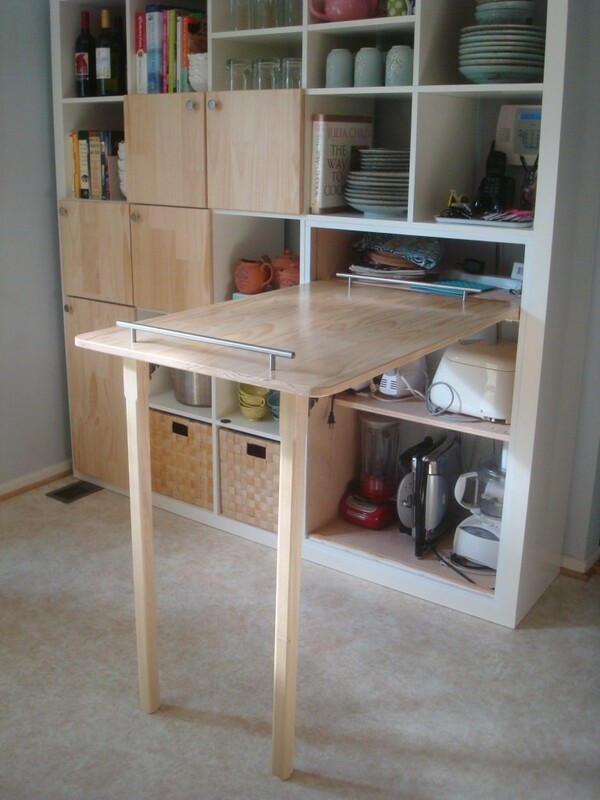 More on that later, this is 13 DIY Projects to better optimize your kitchen space listed by simphome. 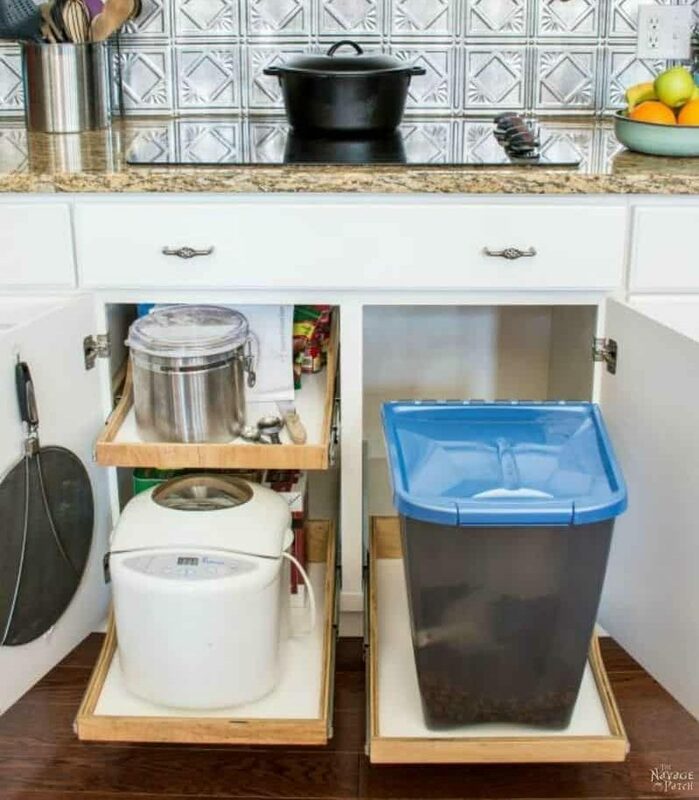 If you had a bit more space in your kitchen, this pull out trash and recycling bin would have been the ultimate stylish and convenient setup. 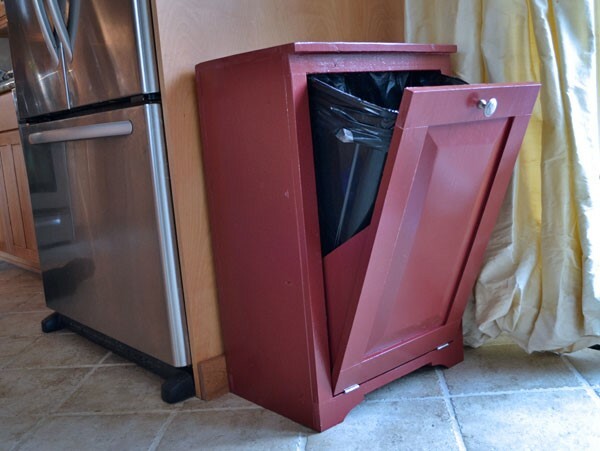 But if that’s out of the question, this easy-to-complete DIY tilt-out trash (or recycling) bin is the next best thing you can come up with. Amazon has got a few finished products based on the same idea, but boy, are their prices over the top (and don’t forget shipping). For far less, you could head to your local hardware store to get needed materials; set aside a few hours; and follow the explicit instructions listed in description area for your very own handmade iteration. Oh, and the guide has a collage of few snippets (like this one) that should offer a bit of creative direction, should you want to spice things up. Hold that up for a second and play this video if you think watching video gives you better learning experience than reading. That’s it for the video and lets continue our countdown. 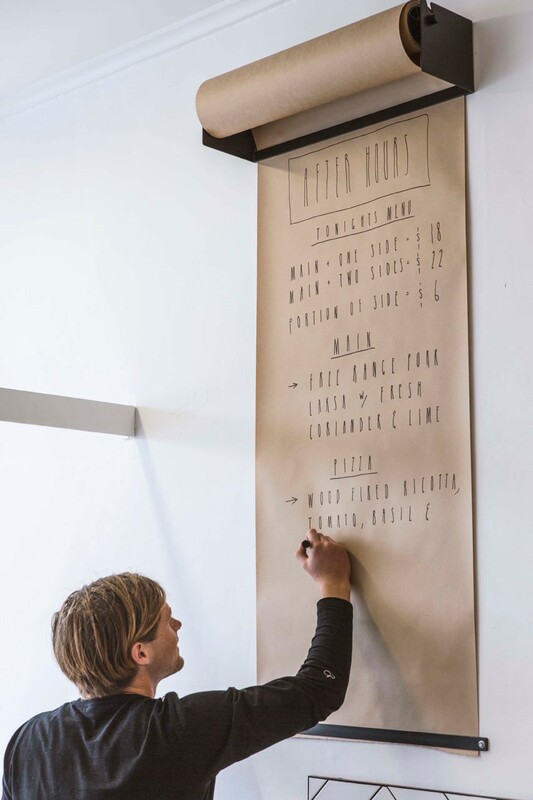 Kraft paper has so many uses in a home—for example, to serve as table protection when working on messy projects—that it’s kind of a no-brainer to install a Kraft paper dispenser. In the kitchen, you could use it to make lists or leave a message. This is perhaps the easiest project on the list. 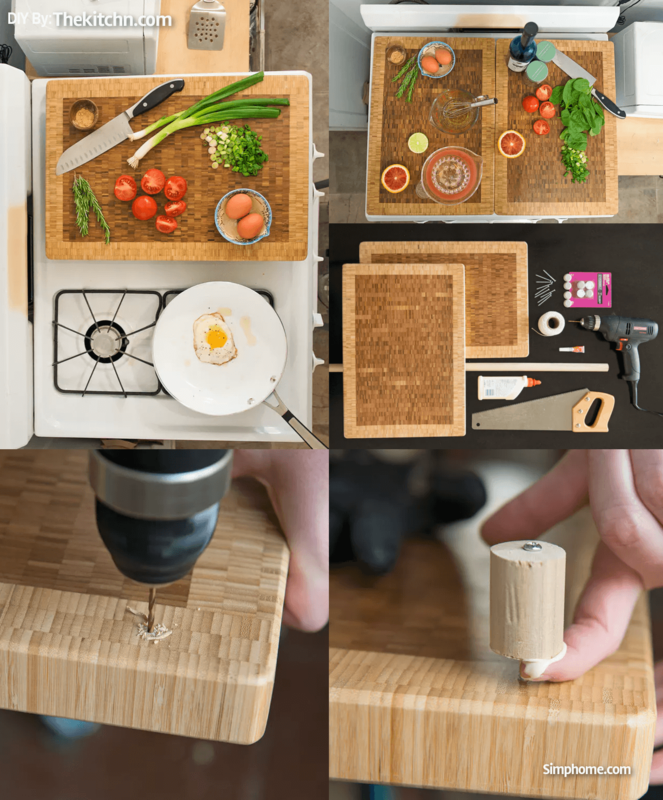 It’s so simple that you don’t need a ton of tools, materials, or even a guide (anyone could install it, simply drill screws through the pilot holes in the set). Yup! That’s all you need. The dispenser’s roller fits the typical 600mm, 24″ wide roll of Kraft paper (although it is available in different sizes). And should you need a sheet elsewhere, simply unroll and cut with a utility knife (or tear it away from the bottom easily). That said, if the kit is pricey for you, there are 3 DIY guides (1,2,3) to make your own dispenser for a fraction of the cost. 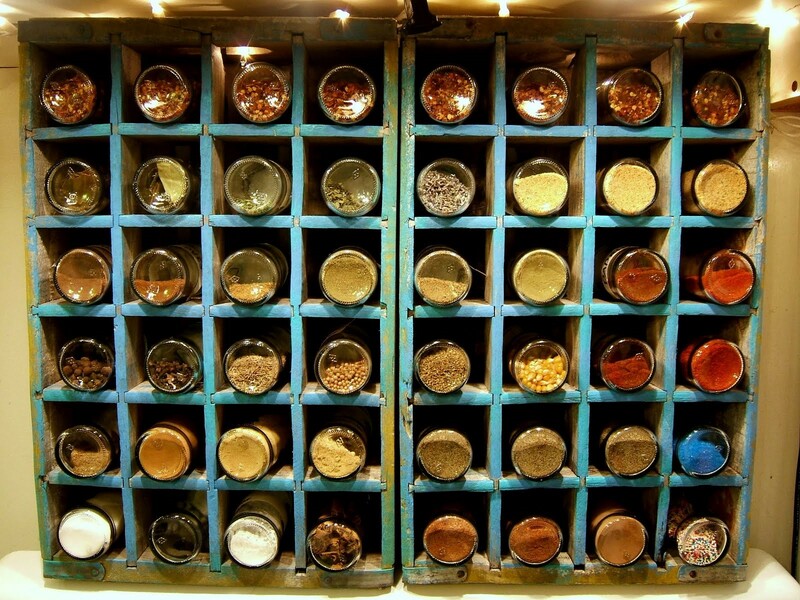 Here I say again, If you are big fan of spices, and have a lot of them: then you know firsthand how messy and hard it can be to keep ‘em organized. You need a magic bullet. And it is a magnetic spice rack. Finally, you don’t have to juggle spice tins or get to the brink of losing your sanity while trying to locate a specific spice. And… You get to save a ton of space, as it is wall-mounted. This project is not truly complicated and the materials you’d need are really inexpensive. About the result, well, you can see for yourself! It is like a work of art. It’s easy to understand the appeal of a Lazy Susan. It takes only a spin to get anything on it at your fingertips. But experience has certainly shown most of us that it isn’t exactly joie de vivre with Lady Susans. It’s particularly dicey to use space effectively, and there are both credible functional and storage reasons why it doesn’t get much love. However, you can do something about it. And it’s one of those “why didn’t I think of that” solutions. This DIY involves making a divider from easily accessible and cheap materials; and using it to organize items on a Lady Susan. And just like that, the issues you’ve had with things falling off, finding it hard to figure out how to store things on it, and having a bit of wasted space; become history. Nothing screams organization like rows of cabinets and shelves. 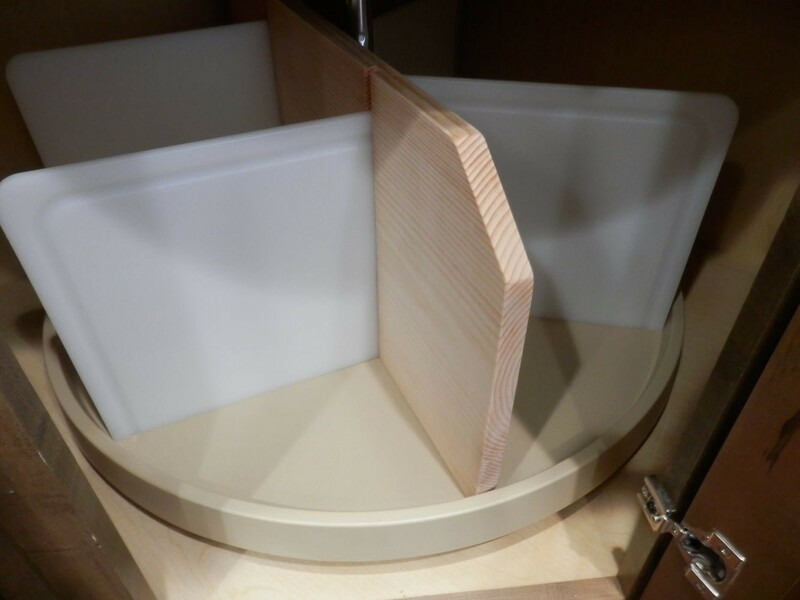 And while you already have some of that, it is possible to push farther with a bunch of hidden storage solutions. They’d keep a lot of stuff out of sight and make your kitchen appear sleeker and neater. This guide itemizes a collection of these ideas done during a kitchen remodel, and they’re just breathtakingly creative. More importantly, in addition to the aesthetic value they bring, they also ensure improved accessibility. In 2014, when IKEA pulled the plug on EXPEDIT, there was hardly any excitement. And the uproar that greeted the decision was justified. Thankfully, it was only a name change coupled with a design update. 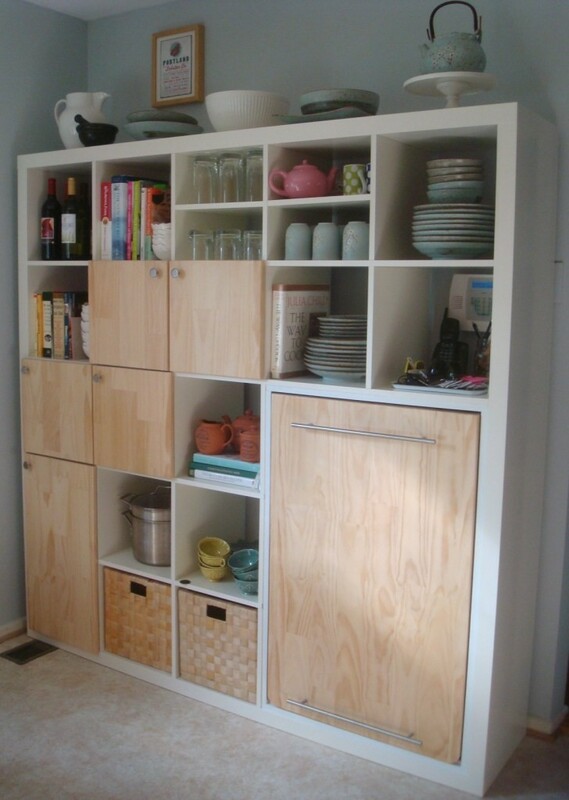 KALLAX was born, and like EXPEDIT before it, it has been a terrific organizer or storage unit that you could use virtually anywhere, including in the kitchen. So, the pressing question is, “Why has this not caught on?” It beggars belief that this is literally a fifty-year-old design idea that’s still pretty much a thing in Northern Europe where it was invented. Well, now that you’ve been introduced to it, you may want to give it a shot. 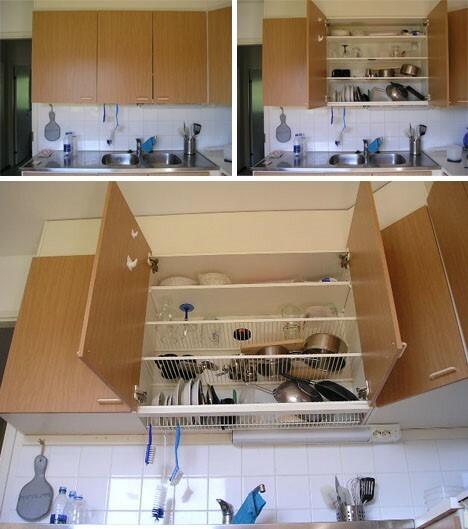 It is basically a bottomless cupboard with shelves made of plastic-coated steel wires, which let water drain unimpeded-ly from one level to the next, and ultimately to the sink and drain below. 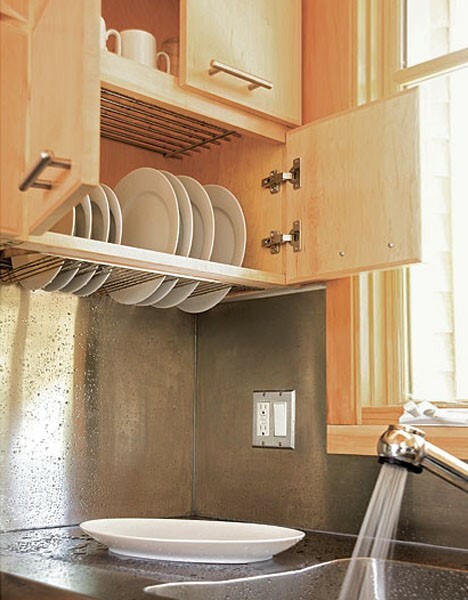 It takes out the need to dedicate some section or sink area to drying dishes. Talk about saving space. Yes! 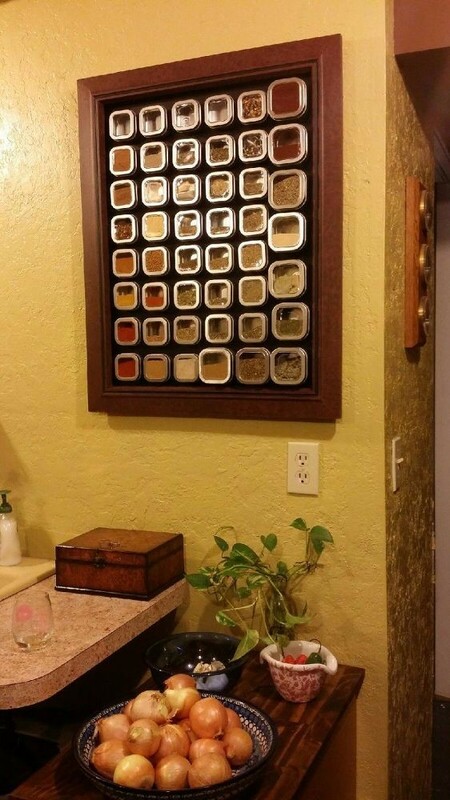 An alternative spice rack idea. What?! You didn’t think we were going to leave you just one right? This spice rack idea isn’t as complex but is just as functional as the other. Plus, it is a refreshing take. Definitely involves mostly woodworking, but they’re just for small jars. 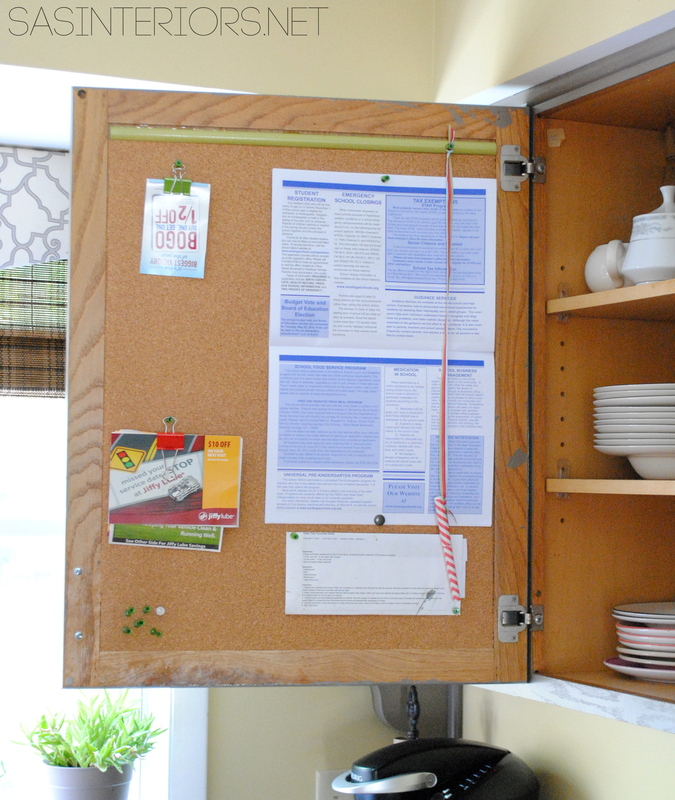 And you’re going to free ton of space in your cabinets thanks to this DIY. Slide-out shelves? Uhm, why would I need them in the kitchen? Well, if it isn’t immediately apparent, permit me to enlighten you. See, cabinets are great for hiding all of the stuff we’ve accumulated over the years. And here’s the thing, at some point, you’re going to have some of these things so far back that you’d shudder at the thought of digging in. Or if you’re reading this, you prolly already have. You’d practically forget you have some of these things, and worse off, probably buy something you already have. This DIY idea hits at the very heart of this issue. Rather than have to claw into the nether regions of a cabinet, why not have everything in it be easily accessible with a simple slide. 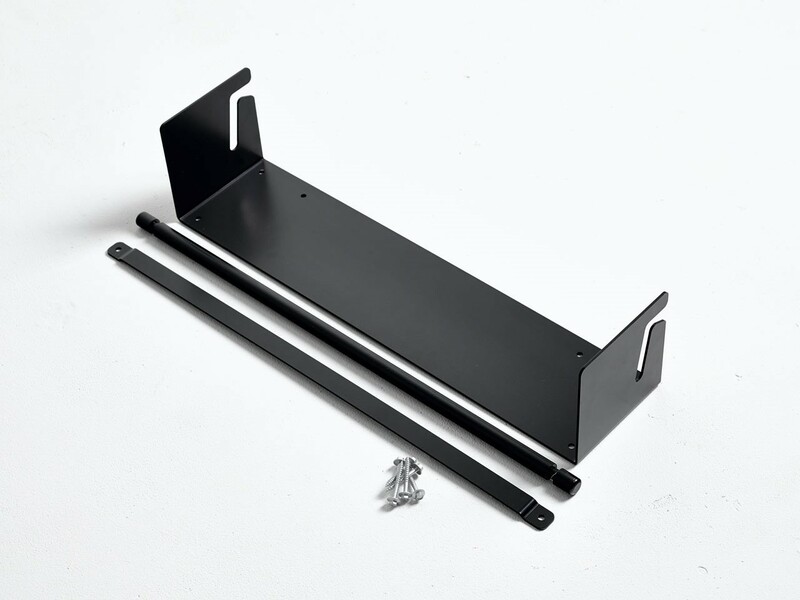 And like most things, the cost of ready-made slide-out shelves can run up to a figure that’d make you gape, as you’d likely need a couple of them. That leaves you with the alternative—a detailed guide that gets you through all of it for [unsurprisingly] far less in costs. See you later in my blog! Little kitchen clutter (from go-to pens to rubber bands) is a fact of life. And having them strewn about certainly doesn’t look great nor help you keep track of them. 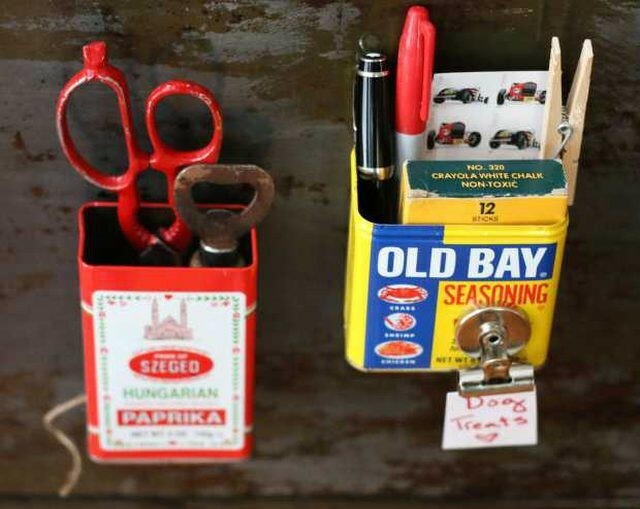 Now, a creative way to keep them organized is to store them in repurposed empty spice tins (or any metal tin really—tea, mint, or any other type of tin). 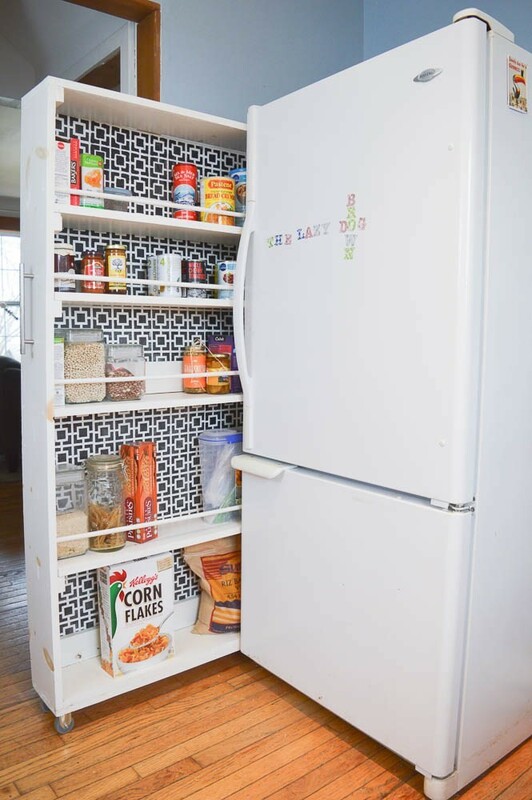 Simply slap magnets on and hang them. Here’s view rundown of the process. 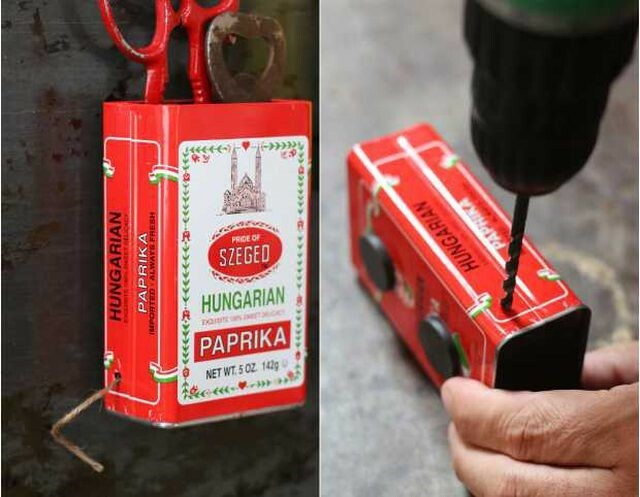 You could even drill a hole in the side of a tin and have the tin double as a kitchen twine dispenser. This project has a little of everything—creative use of free space that often goes unused; extra storage; and setting up spots for lists, to-dos, reminders, coupons, and any scribbling or text material to improve efficiency. The fun of it all is how you’re able to go to town with your creativity. You’re able to personalize the organization. And since your only limitation is the number of cabinet doors in your kitchen, you can regulate the pace of the project. There is no compulsion to use all cabinet doors at a go. You could use a few doors for your present needs and be rest-assured that should the need arise, there’s some unused space left to take advantage of. When you got a large kitchen with acres of space, then the new pantry you need may well be in your local IKEA or big box store. You don’t have that luxury if the nook where the pantry would go doesn’t meet any of the standard dimensions. 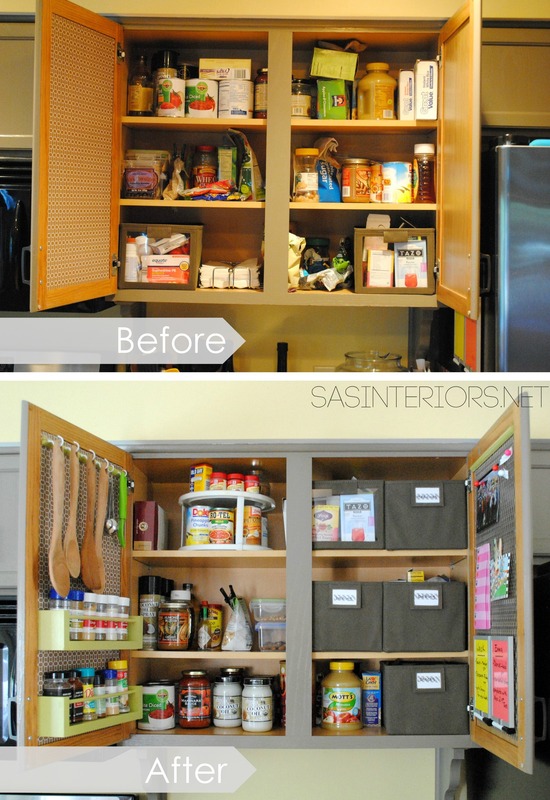 That’s where this tutorial comes in to fill you in on all the details you need to build a custom pantry that fits. This DIY sure requires planning (that’s practically the major step). However, once you have that figured out, it’s smooth sailing going forward. It’d prove to be an amazing addition to your array of storage solutions when all is said and done. Okay, let’s get the negative out of the way. Obviously, there is a limitation with this idea. You can’t use the burner while you need extra space. 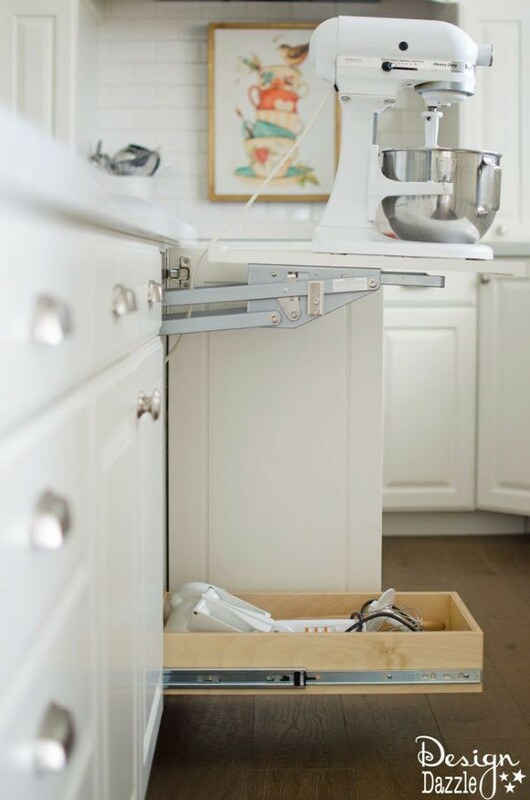 But if your kitchen is small, you know every extra inch of space you can claw back matters. It’s a fairly easy, low-cost project. As such, it’s not something you’d spend a lot of time. It deeply rewarding too, and since it’s a DIY, the covers are custom-made to fit well (owing to the accurate measuring you’d do). 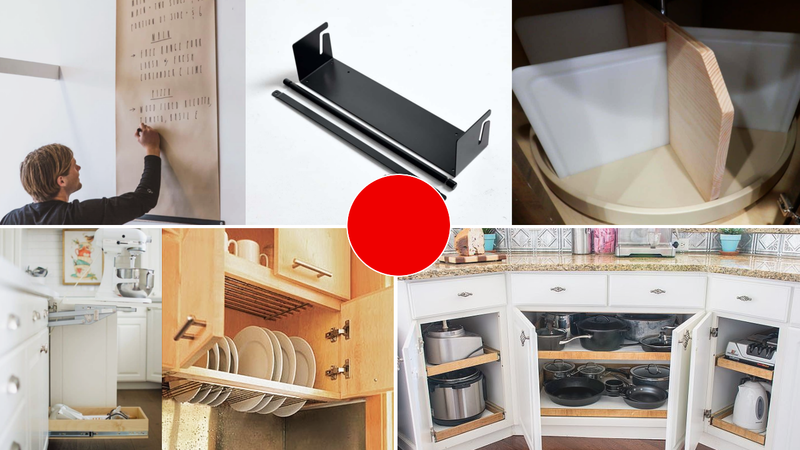 You have a lot to contend with when getting your kitchen together—appliances (of all sizes) as well as the dizzying variety of cooking tools, utensils, gadgetry, and other essentials. But as long as you keep your collection in check, you shouldn’t run into a fix with fitting them in. The ideas in this list take things a step further by helping you get even more out of your space. 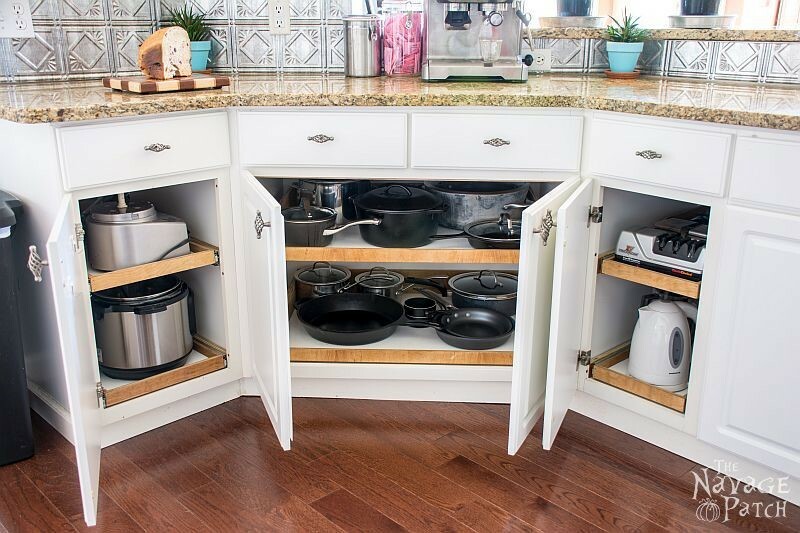 You could then declutter, or you know, finally have a place for that specialized cookware you’ve always wanted to have but had to put off because of space constraints.